★ SEAM TYPE: Each pair of Bottoms underwear is finished with flat lock seams and completely tagless. This style of sewing is as close to seamless as a pair of underwear can get. Virtually undetectable underneath clothing, you’ll forget you’re even wearing them. ★ SPECIAL FEATURES: A discreet utility pocket is tucked away underneath the waistband. It measures 2×2″ and is the perfect hideaway for a condom, gym locker key, or a few bills. Our premium trunks come from a high-end intimate apparel line for the minimalist man. Our luxury collection is made for your body, in and out of the bedroom. Inspired by bold masculinity, we’ve crafted a pair of underwear that is clean, simple, and timeless. We’ve taken the classic boxer-brief shape and transformed it into an effortlessly comfortable and always relevant piece of clothing. Our underwear is expertly made and grips your body exactly how and where it should. You’ll feel dry, clean, and well-ventilated all day long. 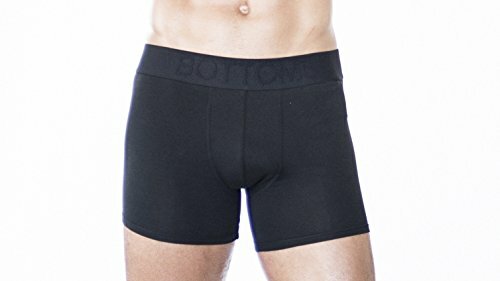 A utility pocket hides underneath the waistband, and is perfectly sized for a discreet condom or gym locker key. With one color and one design, the only thing you need to do is pick your size. All Natural: No chemicals. No additives. Always eco-friendly. Color: Every element of Bottoms underwear is black. From the fabric to the stitching and logo, we’ve kept our design clean, simple, and timeless. Waistband: The 2″ waistband flatters every body shape. The control top keeps love handles and extra weight in place all day. 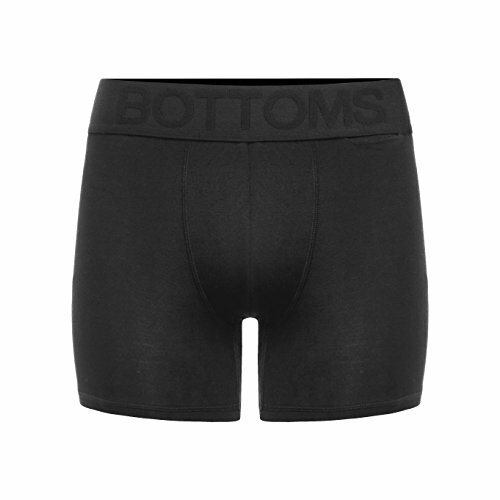 Special Features: A discreet pocket is tucked away underneath the waistband. It measures 2×2″ and is the perfect hideaway for a condom, gym locker key, or a few bills. 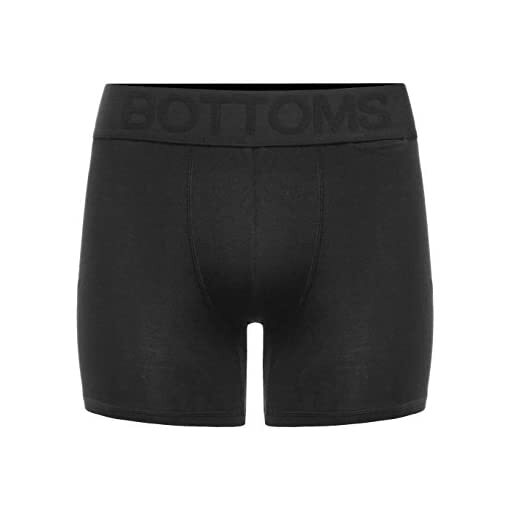 Seam Type: Each pair of Bottoms underwear is finished with flat lock seams. This style of sewing is as close to seamless as a pair of underwear can get. Virtually undetectable underneath clothing, you’ll forget you’re even wearing them. ★ PERFORMANCE: Our all natural bamboo fibers help reduce friction during physical fitness activities, keeping you dry and protecting you from medical conditions that can be caused by sweat. 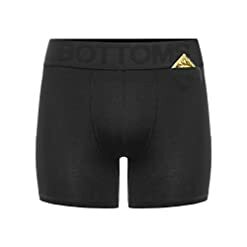 Because Bamboo is resistant to bacteria, this pair of underwear can protect you from skin conditions like fungal growth, sweat rash, eczema, dermatitis and a many more.